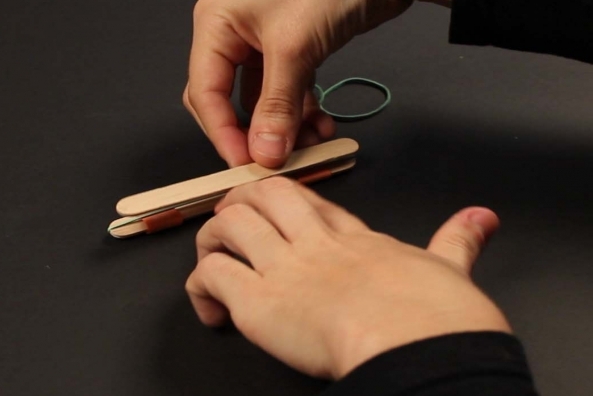 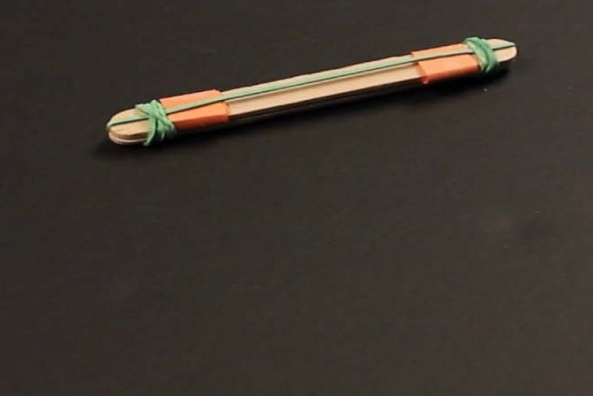 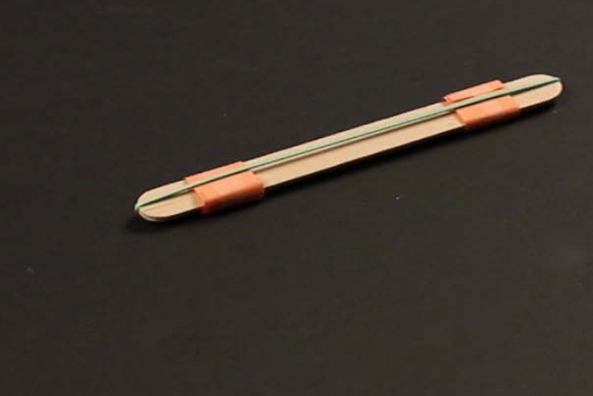 Make this fun musical instrument in minutes with craft sticks, rubber bands and a couple strips of paper! 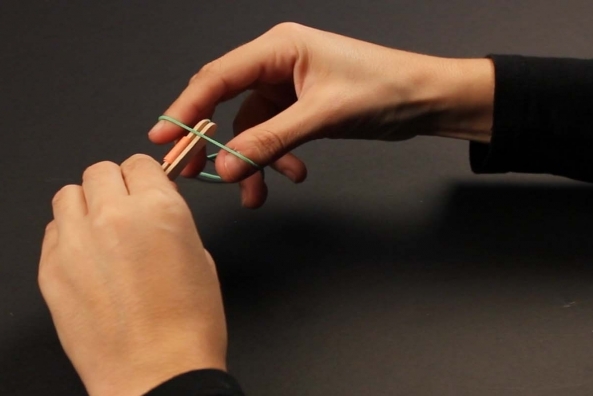 How many different sounds can you make? 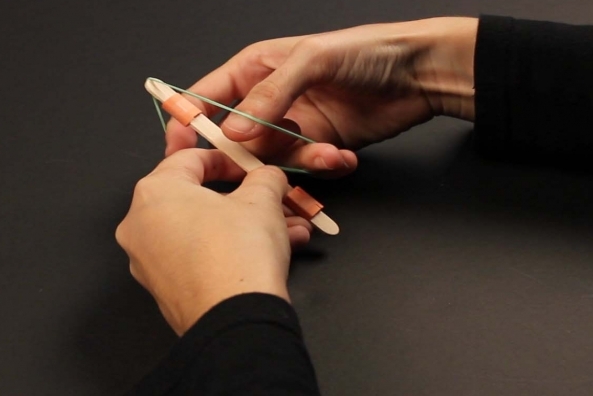 Make a kazoo and then play along with the duck who plays a kazoo! 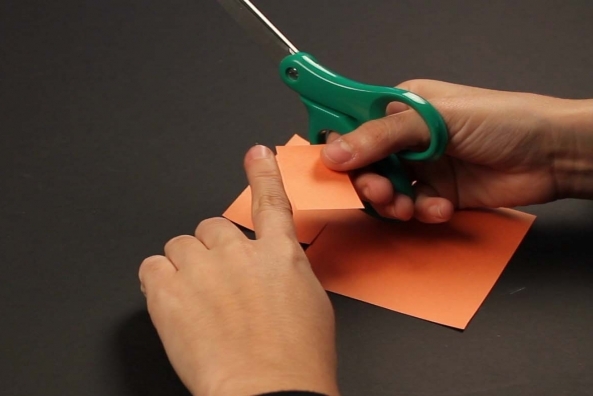 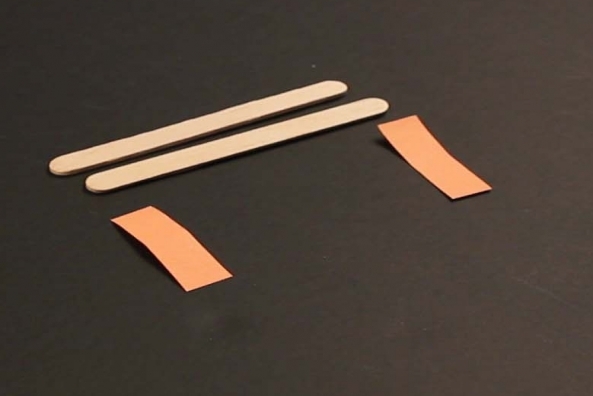 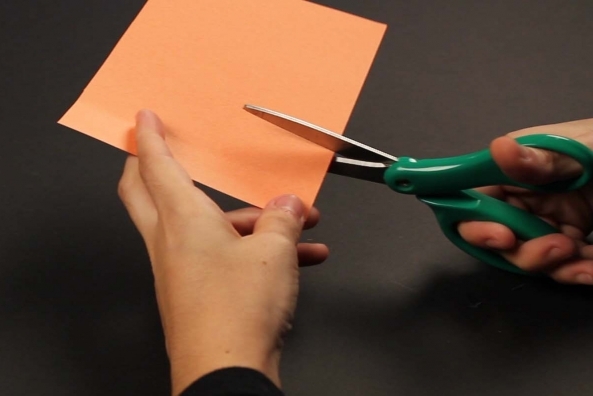 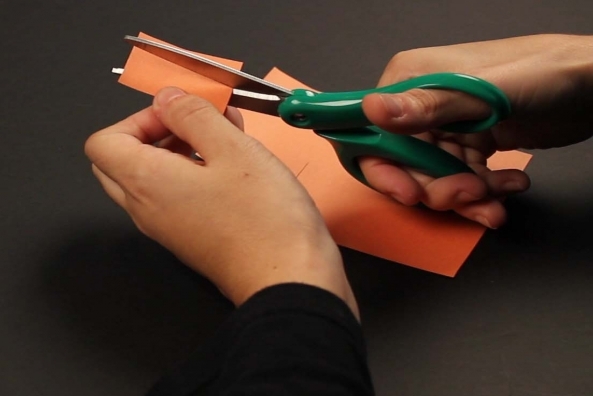 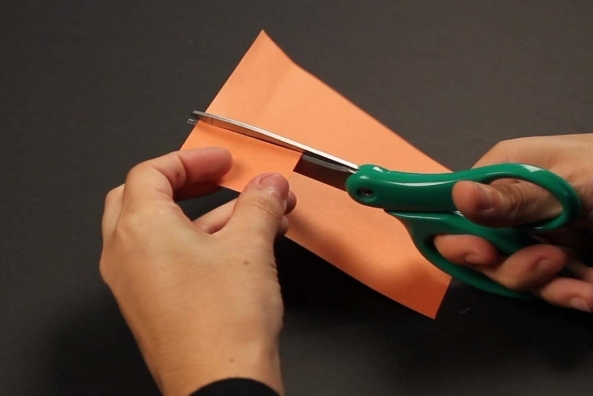 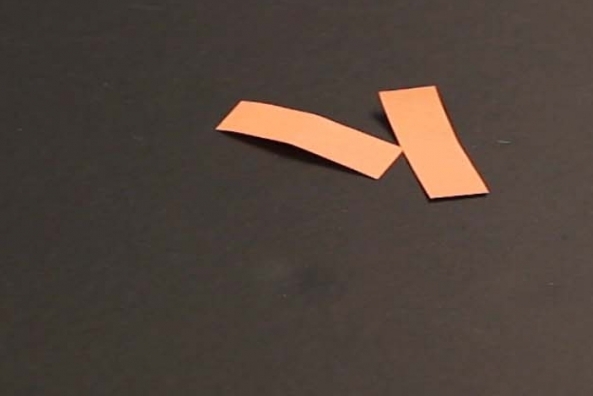 Cut two strips of paper just long enough to wrap around both craft sticks. 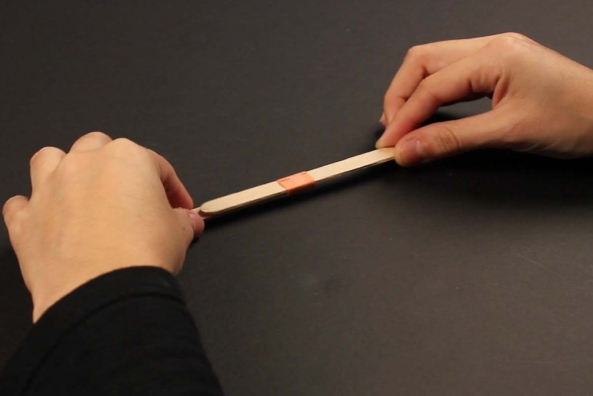 Wrap the strips around the craft sticks on either end and secure it with a piece of tape. 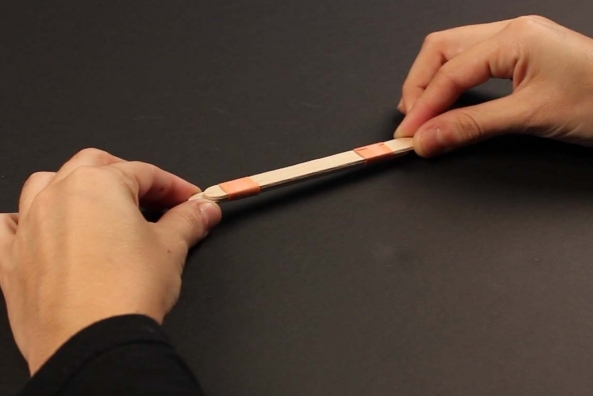 Carefully slide one of the sticks out and put aside. 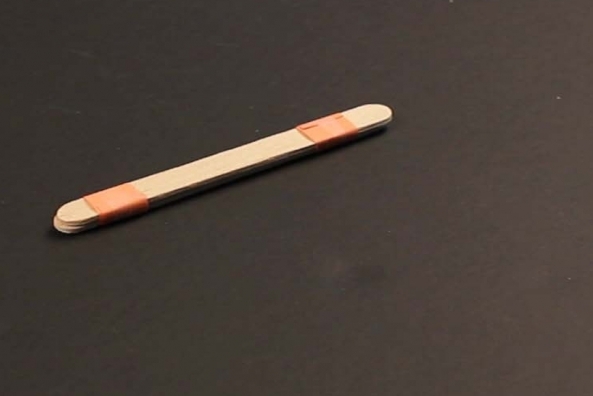 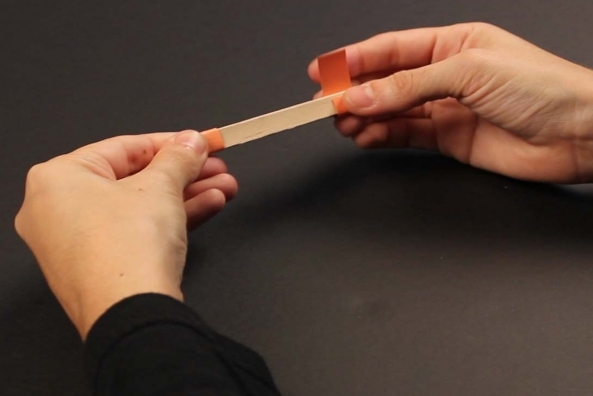 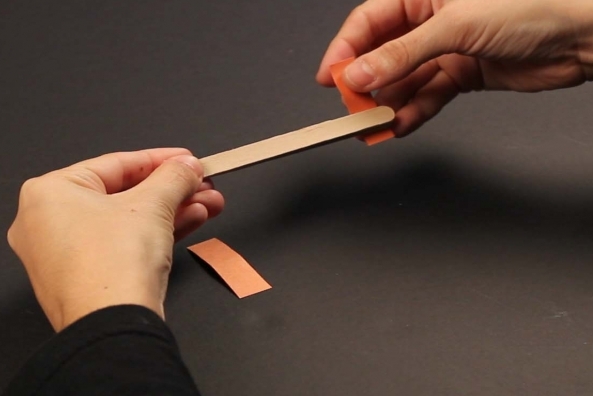 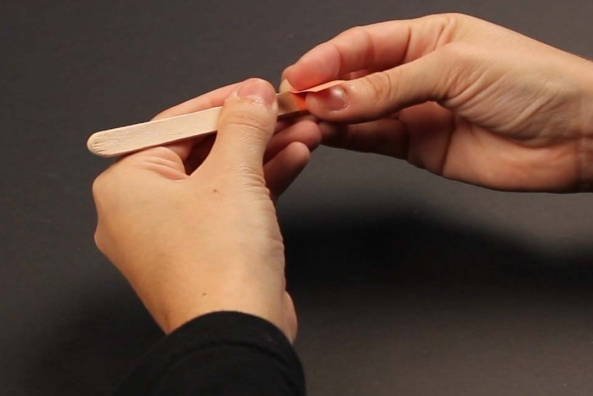 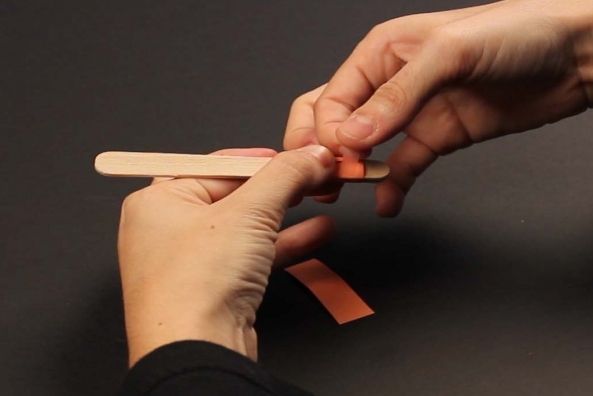 Carefully stretch a rubber bands long-ways on the craft stick with the paper strips. 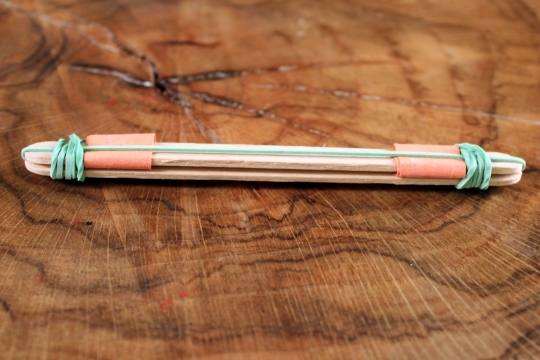 Place the other craft stick on top. 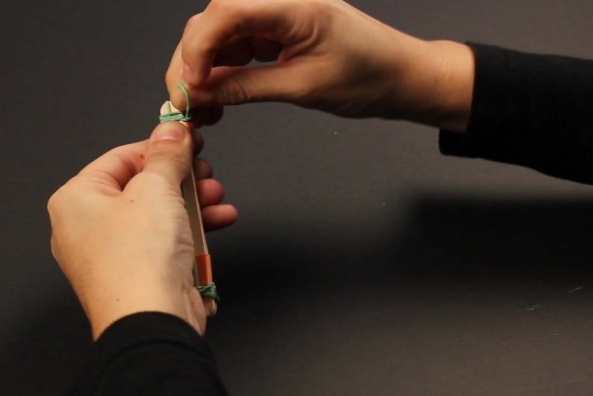 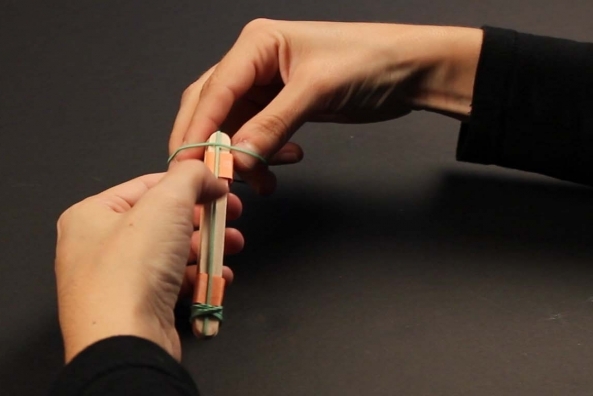 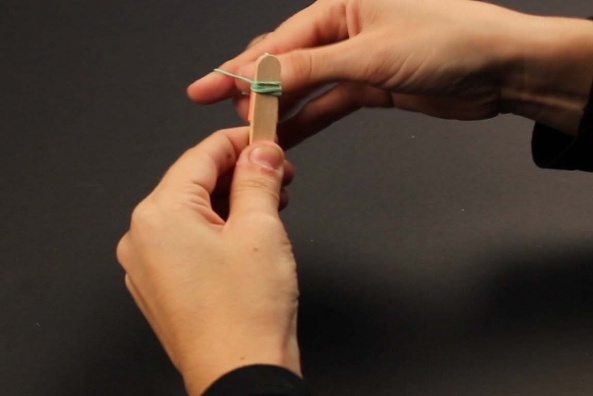 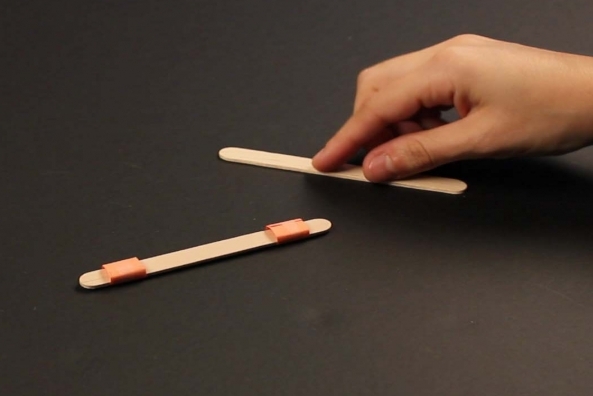 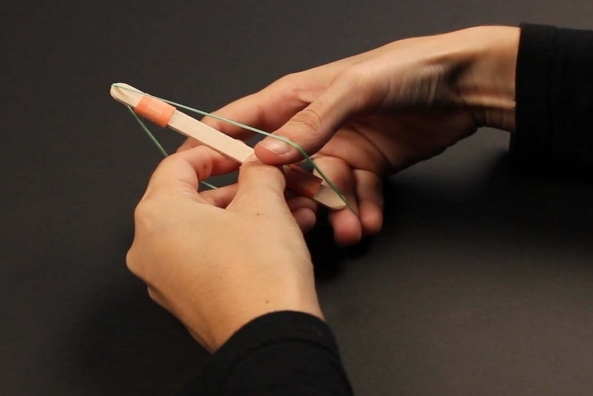 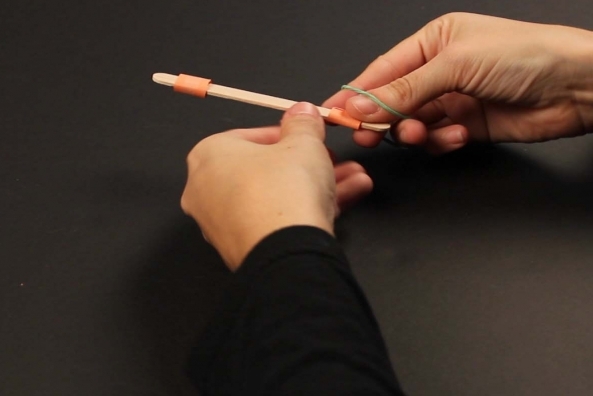 Wrap a rubber band on either end of the craft sticks to hold them together.